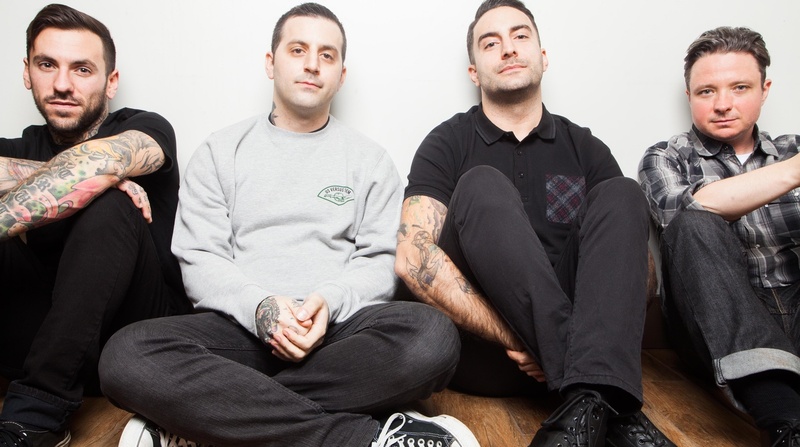 Bayside have announced an acoustic tour. Bayside’s new song “It Don’t Exist” is now up on Spotify and Apple Music. It comes from Acoustic Volume 2, which is due out on September 28th. A video for the song has also been released. Bayside have been going strong since 2004, but it was the band’s 2007 release, The Walking Wounded, that solidified their place in the alt-rock scene. The New York-based band decided to celebrate the ten year anniversary of the album with a small club tour. I sat down for a video interview with lead singer, Anthony Raneri, prior to the first night’s show at the Ottobar in Baltimore, Maryland. Bayside have announced a 10-year anniversary tour for The Walking Wounded. Spotify have shared some new covers of Green Day songs by Bayside, Neck Deep, and Taking Back Sunday. The tracks come from the Spotify documentary about the band and you can stream them below. Bayside covered Say Anything’s “Night’s Song,” and Say Anything covered Bayside’s “They’re Not Horses, They’re Unicorns.” You can stream those below. Bayside and Say Anything will be heading out on a co-headlining tour together. You can find the dates below. Bayside have shared a new three song release, Vacancy 7″, on Spotify and Apple Music. The release contains one new song and two acoustic tracks. They’ve also announced some acoustic tour dates, which can be found below. Bayside have steadily become one of the preeminent forces in alternative music by simply being themselves throughout their entire career. The band has a unique sense of self which displays itself every time they release new music. The band’s seventh full-length record, Vacancy, just dropped last week, and to celebrate, they hit the road with some incredible bands supporting them: The Menzingers and Sorority Noise. I’ll have more on that tour a little later this week, but for now, enjoy my conversation with Anthony Raneri and Nick Ghanbarian about managing fan expectations, what they feel their responsibility is as a band with a platform, and how you continue to write the most honest music of your career seven albums deep. Bayside’s Vacancy has been given a week early release on Apple Music. Craig Ismaili talks with Nick and Anthony about the recently released Bayside album. Becky Kovach reviews the latest album from Bayside.